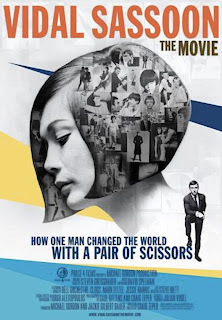 A straightforward piece of hagiography, enlivened only by its access to the still relevant, revolutionary hairstylist Vidal Sassoon. What stands out is his description of race and class discrimination in post-war East London where he grew up. Vidal learned to "talk proper", moved to the West End, and created the legendary "five point cut" that liberated women from over-styled, over-teased hair. Together with fashion designer, Mary Quant, he defined the Swinging Sixties. Even more fascinating, Sassoon seems to have invented the cult of the celebrity stylist with a range of merchandise, TV show and "lifestyle" to sell. All of which took him to LA and ultimately led to divorce. The tragedy is that where Craig Teper could've used his access to really mine the emotional toll of success, he chooses to keep a reverential distance. The result is a documentary that is educational but not inspirational - and less than its subject matter deserved. VIDAL SASSOON: THE MOVIE played Tribeca 2010 and went on limited release early in 2011 in the UK and the USA. It is available for download.